The average cost of memory care in Buckeye is $2,800 per month. This is lower than the national median of $4,650. Caring.com has helped thousands of families find high-quality senior care. To speak with one of our Family Advisors about memory care options and costs in Buckeye, call (855) 863-8283. Buckeye, which is located just 30 miles west of the capital city of Phoenix, is home to over 68,000 people. It is situated in central Arizona, a state in which over 170,000 people have been diagnosed with Alzheimer's disease. This disease is the leading cause of dementia and is mainly diagnosed in adults over the age of 65. In Buckeye, seniors age 65 and over make up more than 10 percent of the population. In addition to the resources offered by Maricopa County for those who have been affected by Alzheimer's and dementia, Buckeye is home to one memory care facility. This facility, as with most memory care facilities in Arizona, is located within an assisted living facility. Arizona seniors do not pay state income tax on Social Security income, but all other forms of retirement income are partially or fully taxed. This may affect how much money can be put toward memory care in Buckeye. The air quality in Buckeye is relatively poor, which may be a concern for families whose senior loved one has a respiratory or cardiovascular condition. The American Lung Association gave Maricopa County an F for ozone pollution and an F for short-term particle pollution, which may adversely affect those with asthma or heart disease. The cost of living in Buckeye is about 13 percent higher than the U.S. average, and healthcare costs are about two percent higher here than in the nation as a whole. This may be a consideration for those with a tight memory care budget. Buckeye has a warm, dry climate and receives just nine inches of rainfall annually, compared to the national median of 26 inches. Summer highs are in the 100s, which may be a consideration for seniors who are sensitive to heat; winter lows are in the 40s. Memory Care costs in Buckeye start around $2,800 per month on average, while the nationwide average cost of memory care is $4,799 per month. It’s important to note that memory care rates in Buckeye and the surrounding suburbs can vary widely based on factors such as location, the level of care needed, apartment size and the types of amenities offered at each community. To see a list of free memory care resources in Buckeye, please visit our Assisted Living in Arizona page. 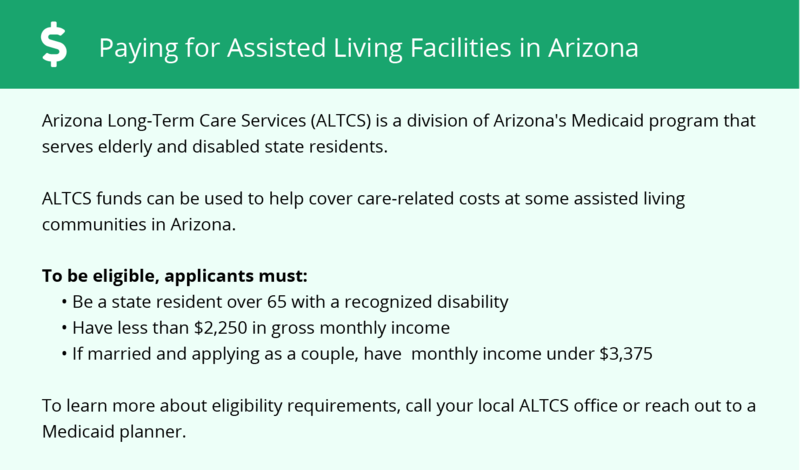 Buckeye-area assisted living communities must adhere to the comprehensive set of state laws and regulations that all assisted living communities in Arizona are required to follow. 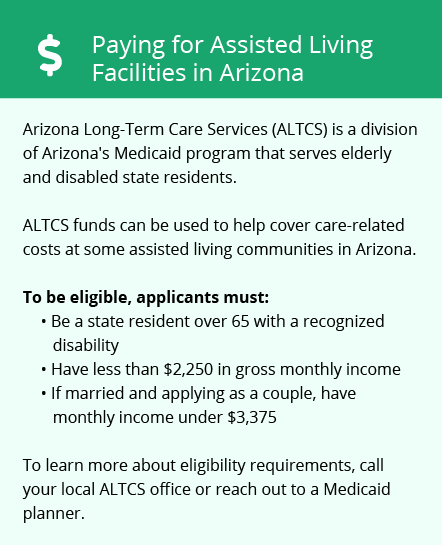 Visit our Memory Care in Arizona page for more information about these laws.